The greatest expert on your customer is: your customer. I consider that rule number one on any customer development journey. Over the years, I’ve discovered one of the biggest mistakes tech entrepreneurs make is overbuilding. Teams get so excited about an idea that they create feature after feature, hoping one of them will help someone, somewhere, soon save time, spend less, or be entertained. The reason I wrote Lean Customer Development to stop teams from building things that people don’t want. That’s what successful customer development does for you - allows you to avoid (some) mistakes and focus on building what your customers will use, love, and buy. You see, no matter how smart people are, no matter how well they know their industry, they’re wrong at least half of the time. That means about 50 percent of what is built is wasted effort! In my experience, every hour spent on customer development saves an organization five hours of design and coding time. That’s my conservative estimate. It’s probably closer to 20 hours. One of the reasons teams overbuild is because humans like to do what comes naturally. We like to build! We love coming up with solutions (that’s why we join product teams and start companies). But if you’re just starting out, you have to embrace what comes a little less naturally—and that’s listening. Start with a hypothesis. Ask the right questions. Make sense of the answers. Then figure out what to build based on the input. Those are steps to successful customer development, yet not everyone follows them. Teams often lead with their own product - a solution created based on assumptions of who’ll need it and why. We don’t create a narrow, unbiased hypothesis that focuses on the person, the problem, and how we can make their life better. This is ineffective for a couple of reasons. First, it puts you in the role of the expert when you really need to be learning from your prospective customer. Second, once you show someone a solution, that’s what they’ll talk about. Rarely does the person you’re talking with stop and say, “wait, I don’t really have that problem” or “hold on, I’m not motivated to change my behavior over this”. When you start with a solution, you risk hearing a lot of “polite maybes” instead of uncovering the “here’s what I really need” answers that lead you to a successful business. As an Alchemist Mentor, I encourage founders to start with one testable hypothesis. For example, “I believe [type of person] has [problem they need to solve] in order to [experience this benefit]”. There are three segments to that hypothesis, and each of them can be invalidated - you might be talking to the wrong type of person; they may not have the problem you expect; they may not see that a solution will make their life better. There may be multiple stakeholders - for example, if you are trying to develop a solution to improve patient compliance in taking their medicine, you’ll likely need to talk to the doctors who prescribe medication as well as the people swallowing the pills. By understanding the behaviors, motivations, and constraints of all your stakeholders, you’ll be better able to design a solution that they’ll actually use and benefit from. Abstract up a level: more general, “storytelling” questions about the ways people do their jobs, what they buy, and how they use products give you more informative answers than yes/no questions. For example: What frustrates you about your job? How is work done in your organization? How do you evaluate solutions? Open-ended questions like these give customers the power to talk about what matters most to them. At the end of the discussion, don’t forget to inquire about what else you should have asked. I prefer one-on-one conversations: in-person is great, because you can see the customer’s environment - but phone conversations are often far easier to schedule and conduct. The best customer development method is the only you’ll actually do! I’m not a fan of focus groups. It seems far more efficient to talk to multiple people at once, but participants may not openly share in a group for fear of sounding dumb or having an idea dismissed. Depending on your hypothesis, you may easily find people in your extended network or a community online. (When people ask, ‘but how will I find people before I have a product to show them?’, I ask ‘but how were you planning on finding people after you have a product?’) Sometimes you’ll need to pay for access to the right people through services such as LinkedIn InMail or user research firms, but generally you’re better off investing the time to figure out where your prospective customers ‘live’, online or offline, and making yourself part of those spaces. You’ll need to build that trust eventually, so you may as well start in the early phases of your company! No matter how you discover customers, approach each conversation as a listener, not an expert. I often recommend telling people explicitly, “I want to hear from you - I’m going to try and talk as little as possible.” That’s the valuable data you need to inform your decisions. Whether you’re building your first product or rolling out a new feature, test everything. Customer discovery that’s about them, not you, is how to ensure your startup builds something people actually want to use and will pay money to buy. 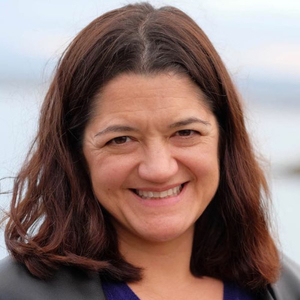 Cindy Alvarez is the author of Lean Customer Development: Building Products Your Customers Will Buy and Director of User Experience for Yammer (a Microsoft company). She has over a dozen years’ experience leading design, product management, user research, and customer development for startups, and is currently using that background to drive intrapreneurial change within Microsoft. She tweets as @cindyalvarez.